Wayne Sleeth (born 1966) is a British contemporary artist living and working in France . In 1987 he visited Claude Monet’s estate at Giverny. 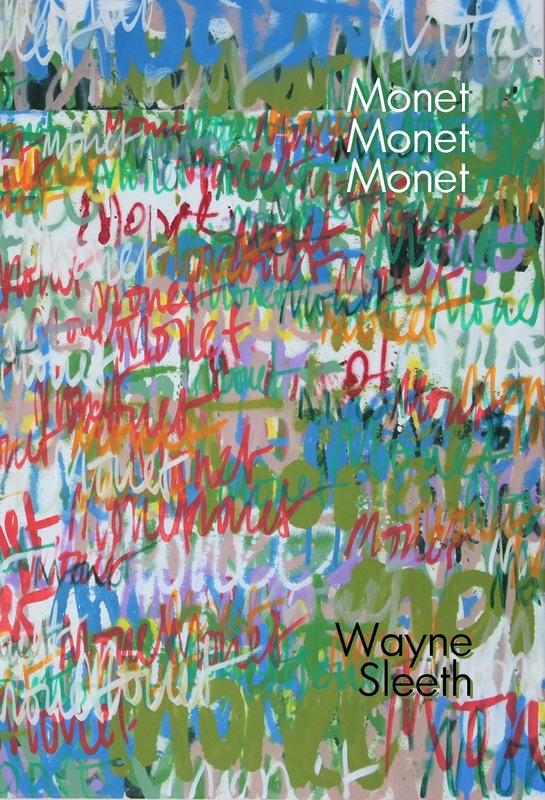 In 2015 he embarked on a new, and on-running, series of paintings inspired by a profound appreciation of Monet’s work, in particular his ‘Nymphéas’ paintings. To coincide with his appearance at Art3f, the Salon International d’Art Contemporain in Metz, France, and his simultaneous participation in the ’20 in 15’ project and exhibition at Mine Gallery in London in March 2016, the artist reveals a thematic part of his more recent production, physically in both Metz and London, and here in a richly-illustrated chapbook mirroring his own words and those of one of his ‘mentors’ in painting, Claude Monet.